Five years ago, Old Gertrude went home to Heaven. Today I mourn the loss of a good friend. Her Love was the purest form. Her forgiveness was up to date. And I don’t wish her back. And made us better people. 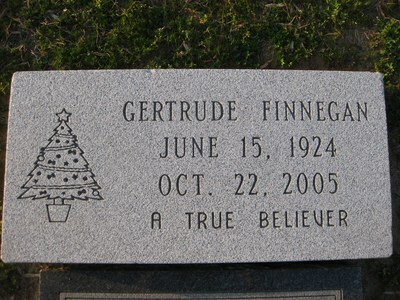 So hard to believe that Gertrude has been gone for five years. I can just see her looking through her glasses and giving a big toothy grin. She always charmed me and made me smile. Thanks for the memory. What a nice tribute to an amazing lady.